The wall of thick, humid air hit me as I got out of the safety of the air-conditioned truck. I breathed it in – filling my lungs with the salty sea air that is so distinct in coastal regions. From this point on, I was going where no vehicles can go – I had to rely on my feet – and occasionally my hands. But little did I know that what I really had to rely upon was my mind to get me through the next hiking days in Oman. So much of any travel adventure and hiking is mental – overcoming the voices in your head telling you that you want to stop, or you can’t make it, or this climb is impossible, or you’ll never get to your destination – the list of voices go on and on. Or maybe the voices in my head are particularly negative and chatty? 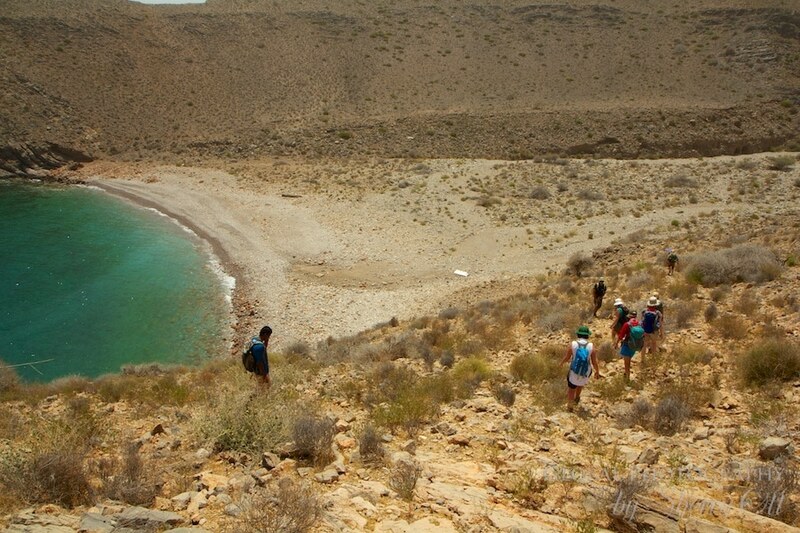 After a morning breakfast on Sifah beach, we tore down camp and set out to do our most difficult hike yet. We were hiking between Sifah beach and the fishing village of Quriyat where there were no roads – we had yet to cover this distance before in our previous hikes. 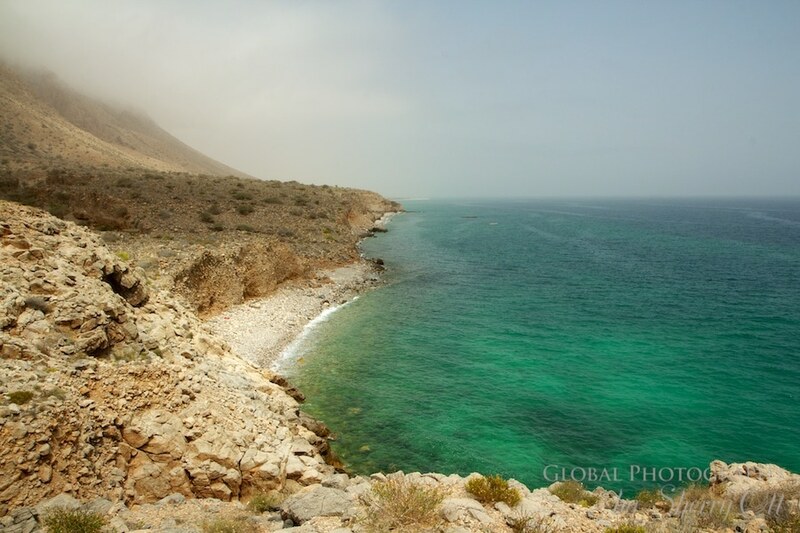 And because it was along the Oman coast and cliffs, it meant that we would be slowed down trying to get up and down the steep wadis along the coastline. But the thing that made it most difficult was going to be the heat. We had left the cool Oman mountain hiking, and now were along the coastline with temperatures of 40 C or 104 F – and no shade. I was kicking myself for not bringing my umbrella for shade, however in retrospect I could have not hiked holding it as my hands were necessary for the climbing at times.